Many people who visit the Lightspeed website for the first time will feel confused, unless they are pretty well-versed in all of the jargon used by the active trader community, which happens to be Lightspeed’s target clientele. In fact, it seems as though Lightspeed’s goal is precisely to turn away newcomers to trading, instead opting to attract only seasoned professionals to their service, which is a rare sight on the online brokerage market. 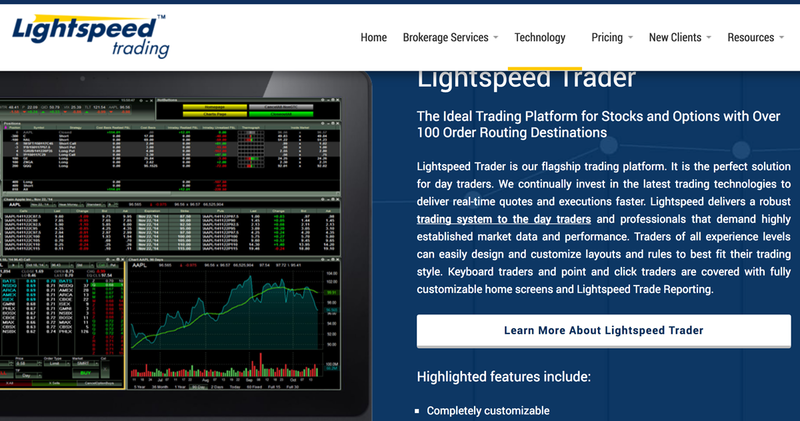 Lightspeed is considered one of the top day trading brokers. This is arguably the main characteristic of the Lightspeed platform, and it is what we will be focusing on in this review. We will also be taking a look at some of the most important features of any trading platform, such as the commissions and fees, platforms and tools, as well as customer service. With that in mind, let us take a look at the commissions and fees first. 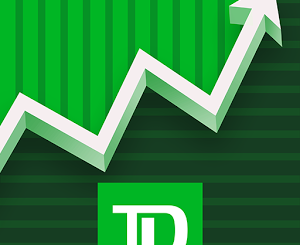 Seeing as though the target audience for this platform is precisely the active trader, the fee structure reflects this client base to a great extent. Lightspeed offers two main varieties of commission – commission per trade and per share. It stands to reason, therefore, that the more you trade, the lower your fees will be. The first type of fee, the commission per share, the fee starts at $0.0045, plus routing fees. The other type of fee, the flat-rate that is useful for large trades, starts at $4.50, plus routing fees. 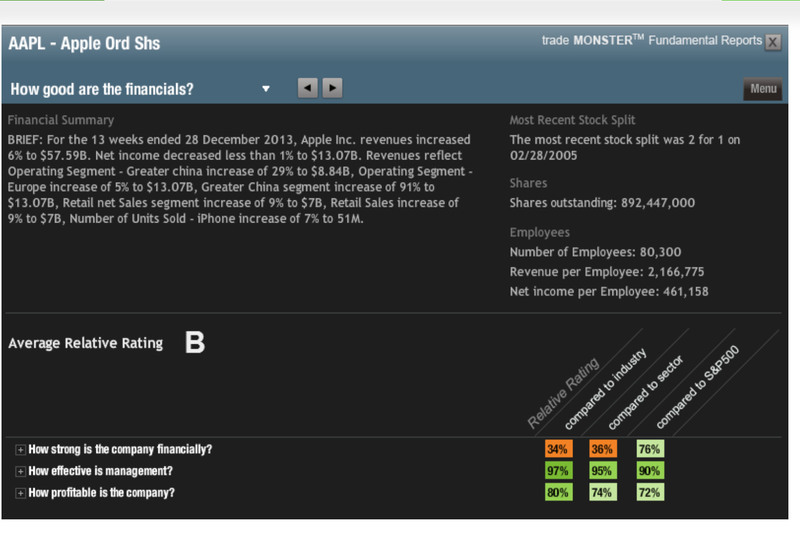 Options trading costs $0.60 per contract, and is reduced depending on the monthly trading volume. 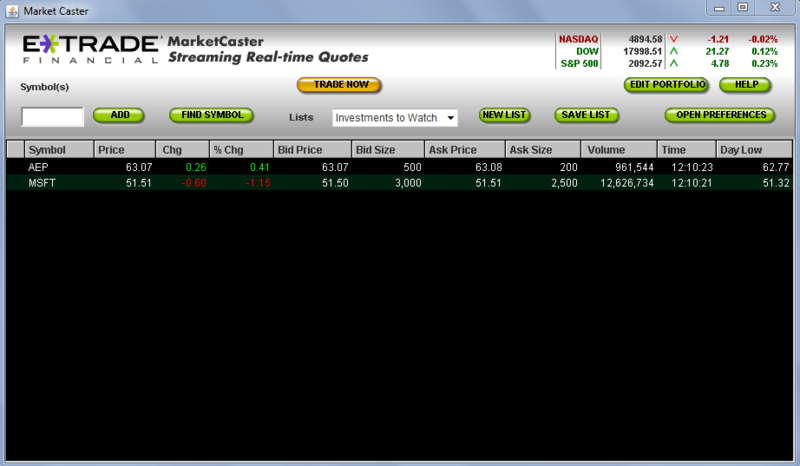 It is important to point out, however, that Lightspeed does not receive payment for order flow for equity trades. This has two main implications for the clients. 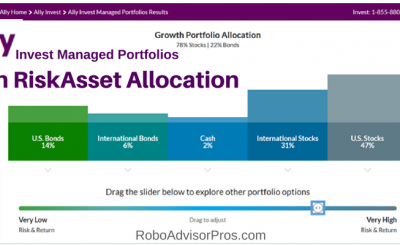 Firstly, there are the obvious savings on the fees, but more importantly, this allows clients to benefit from full market center rebates, which helps expert traders keep their costs low. 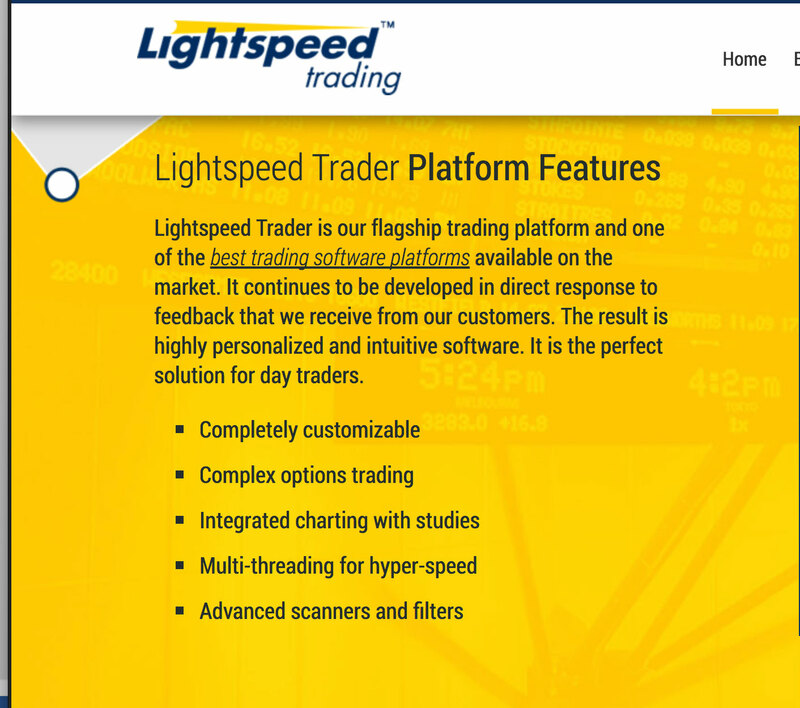 There are multiple platforms offered by Lightspeed, as it is owned by parent company Professional Trading Solutions, along with two other platforms, Lightspeed Web Trader and Sterling Trader. 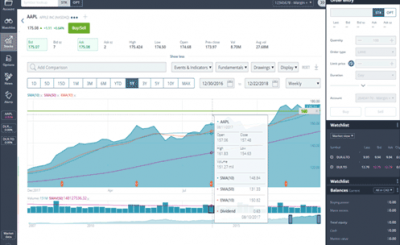 Lightspeed also includes numerous third-party platforms that are designed for equities trading, including RealTick Pro and Express. As far as options trading is concerned, Lightspeed offers Livevol X (Lightspeed is the only platform with the license to offer this), Derivix, Obsidian, OptionsCity, Valdi Options Solutions, and Wex. Finally, for futures trading, there is a wealth of options available to choose from as well: RealTick, CQG, Cunningham Trading Systems, NinjaTrader, Patsystems, Quick Screen Trading, RAN, and Trading technologies. It is obvious from this vast array of third-party options that Lightspeed is designed for seasoned investors who need to trade as fast as possible, at peak efficiency. For the purposes of this review, however, we have only taken a look at the flagship platform, the Lightspeed Trader. It is a desktop platform that is made to be able to provide its users with the utmost speed and stability. Let us take a closer look at this platform. This desktop platform certainly cannot boast a pretty user interface, but the more important consideration to keep in mind is the functionality it offers, which is excellent for professional traders. Let us take a look at some of the advantages and disadvantages of this platform (apart from its looks) more closely, in order to be able to construct a full picture of its capabilities. Seeing as though this is a trading platform designed for seasoned traders, it comes as something of a surprise that it doesn’t take that much work to be able to understand the basics of how the platform operates as a beginning user. However, there are very few research capabilities available on this platform, apart from the integration of TipRanks. Furthermore, there are very few educational notes available, so the beginner is thrown into the deep end with this platform. What it lacks in beginner-friendly options it more than makes up for in terms of its ability to facilitate complex trading and routing. Lightspeed also offers algorithmic trading through is Lightspeed Trader API, which is the wave of the future in terms of speed and reliability of trades. Finally, it is important to take note of the excellent quality of the customer service offered by Lightspeed. This service takes the form of both an email and telephone line to representatives. The phone line is organised exceedingly well, and users should expect wait times under a minute. As for emails, that is a different story, since it takes the company less than an hour to respond at times, and several days at other times. Lightspeed is an excellent platform for professional traders who need all of the most advanced tools and capabilities available to maximise speed and profits. However, this platform was not designed with the beginner in mind, so less experienced users should arguably turn elsewhere. cool, i like this one. might have to check them out.